For those who live far away from the beach and dream of a vacation, why not bring the beach home to you? 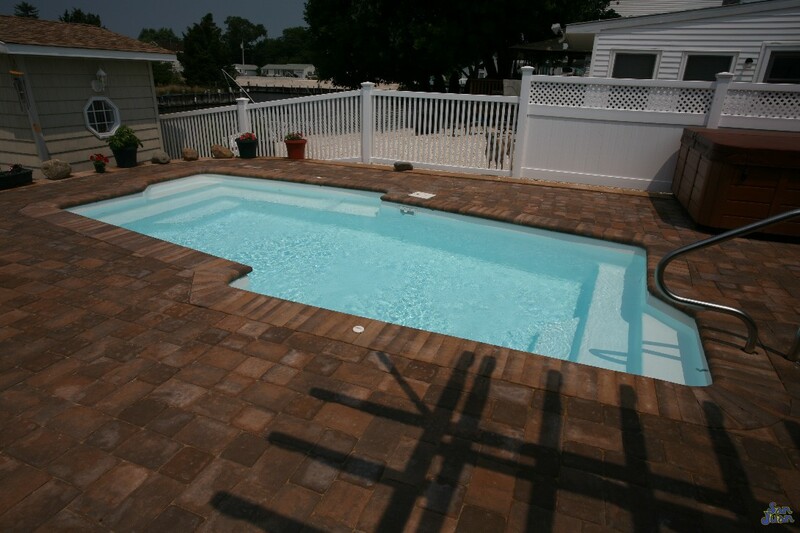 San Juan Pools has designed the Malibu to be your escape from daily life. 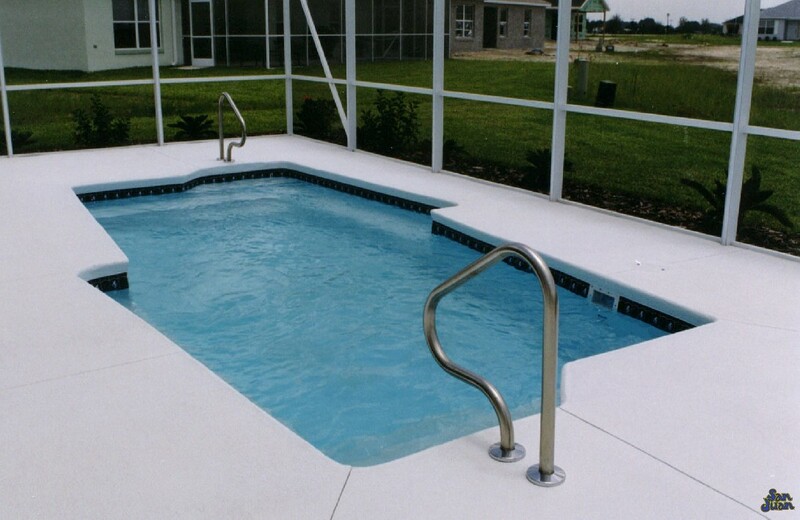 This compact fiberglass swimming pool provides a flat bottom layout with a dual set of entry steps. It’s cutting edge design is both modern & unparalleled in our industry. Truly unique! 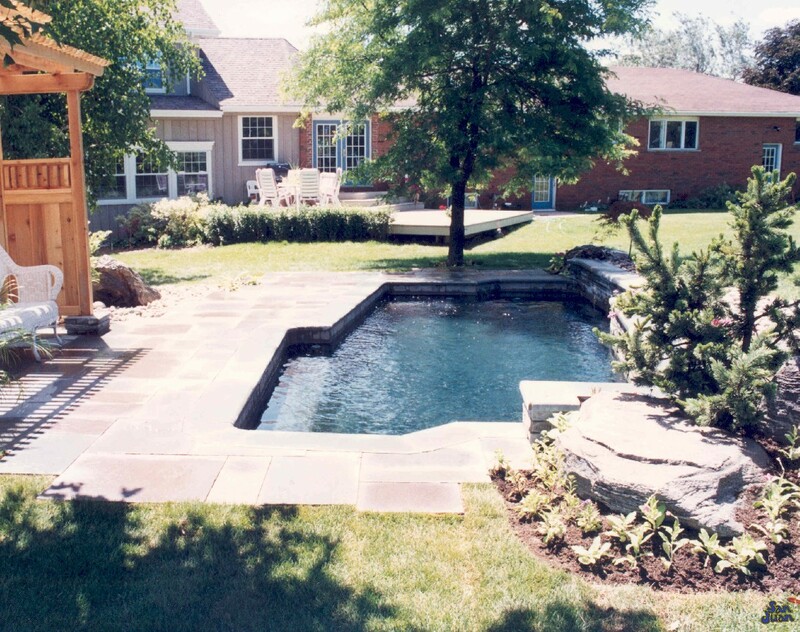 Swimming pools don’t have to fit the typical mold of curving walls or rectangular shapes. 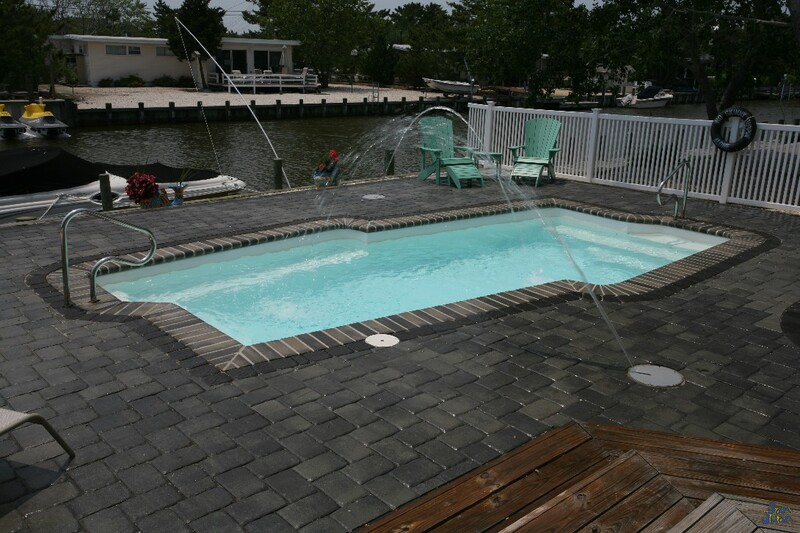 Instead you can have a modern swimming pool with sharp corners & a unique foot print. 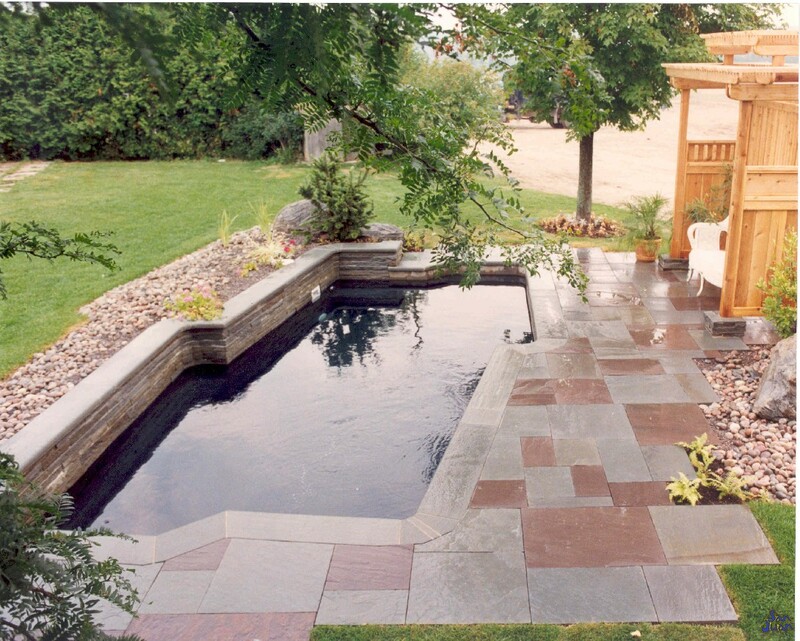 To create something truly revolutionary and distinct in our industry, San Juan Pools introduces the Malibu. This modern pool shape features fun adjacent walls with sharp bends. Giving way to custom entry steps (located in each corner) this pool doesn’t have any contenders. Following our mission to design fiberglass pools for the 21st Century, we’ve developed our Modern Pool Shape category. These layouts feature unique shapes and interesting contours (both internal & external). We want to cater to the younger generation that is now buying houses and installing swimming pools. Their tastes are different from the generation that preceded them so we are adapting to this change in buyer preferences. The Malibu is part of our Flat Bottom pool collection. Rather than have a shallow end that gives way to a deep end (or hopper) we designed the Malibu with a consistent 3′ 9″ depth. This depth of water is excellent for young and old swimmers alike. By creating a shallow area for swimmers, we’ve created a safe space that is excellent for swim lessons and water aerobics. Everyone can have a great time in the Malibu: from relaxing to aerobic activity. Lastly, the Malibu has a particularly small foot print. 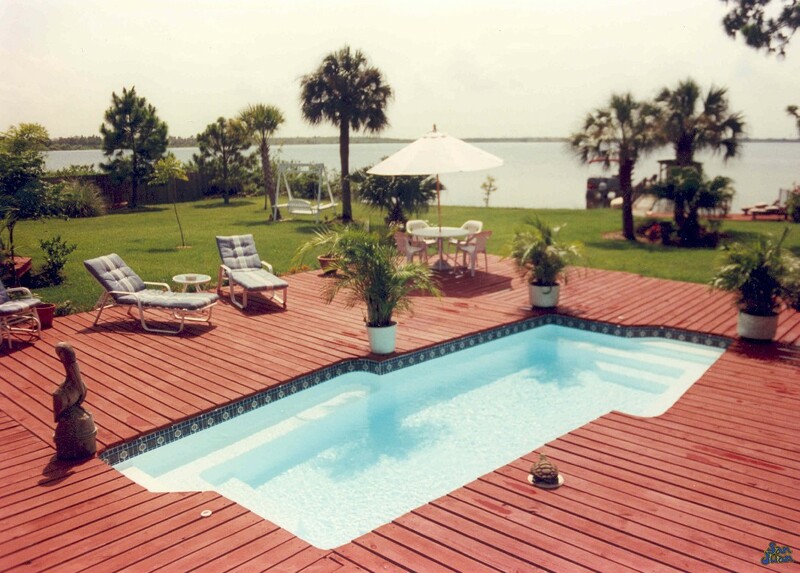 This fiberglass pool is compacted into an overall dimension of 12′ 1″ wide by 22′ 4″ long. That’s a pretty decent length despite it’s total water volume of only 5,025 Gallons. It’s small volume is mainly due to its shallow depth from the flat bottom design. Regardless, less water means easier chemical maintenance. Therefore, you’ll spend less time cleaning and more time enjoying all of the fun that the Malibu has to offer! 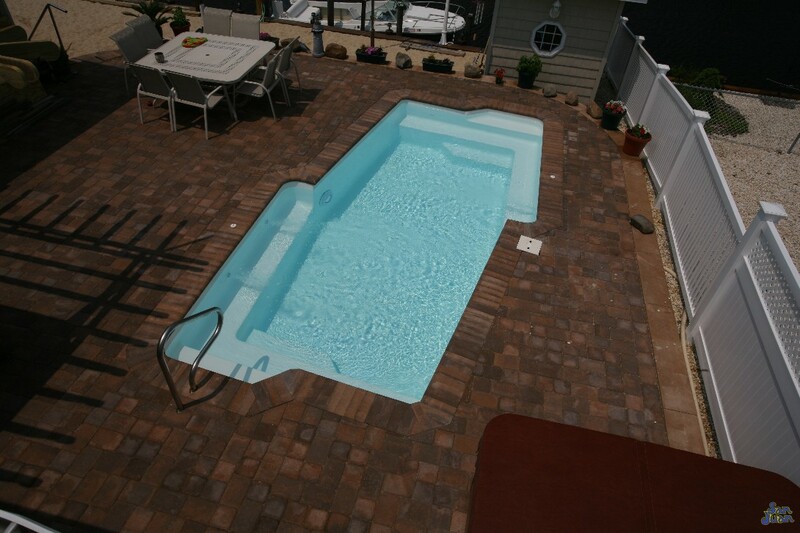 In conclusion, the Malibu is a unique fiberglass pool shape that breaks the mold of your traditional swimming pool. Designed with modern, sharp bends and an interesting set of entry steps; this pool is truly unmatched in its category. Perfect for swim lessons (for young swimmer) or water aerobics; this pool has multiple uses that you’re sure to appreciate! We recommend this swimming pool for users of all ages. It’ll fit perfectly into compact backyard spaces which means that nearly anyone can take the beach home!